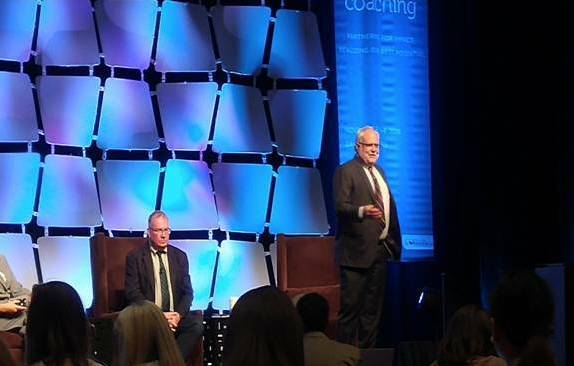 I recently had the opportunity to attend Jim Knight’s Teaching Leaning Coaching conference in Dallas, Texas. A special treat was an opportunity to join Jim on stage as we did a quick presentation on what were critical components to our “models” of coaching and then responded to audience’s questions. As Jim shared his model, he described a continuum of coaching approaches that would range from Directive …………to………Facilitative. On the directive end the coach is in control of the process, the feedback and next steps direction of the coachee. At the facilitative end, the process and decisions are more driven by the coachee and the coach provides the feedback requested. Jim described his approach as being dialogic rather than either directive or facilitative. 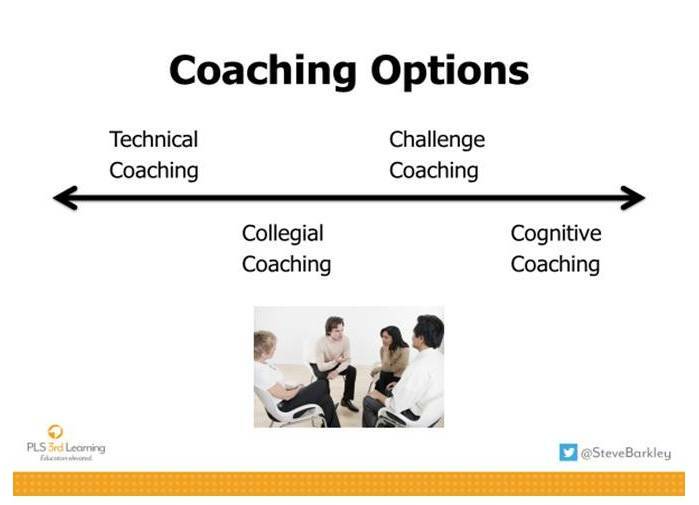 I have used a continuum to describe types of coaching which I sense is somewhat similar, with technical coaching being more directive and cognitive coaching being facilitative. I suggest that my work focusses on the coaching skills that prepare a person to coach in each process. Active or empathic listening stresses putting one’s self in another’s place. The goal is to effectively understand and accurately interpret another’s meanings. A dialogic approach is described with four characteristics. First, it emphasizes conversation as a shared activity. Often people focus their attention on their own views in conversation. In active listening, you focus attention on the other’s views. In dialogic listening the focus is on “our” views and the emerging product of the conversation. Second, dialogic listening stresses an open-ended conversation. Dialogic listening seeks to tap into productive creativity. Dialogic listening requires modesty, humility, trust, and a robust recognition of the other party as a “choice-maker”. Third, in dialogic listening, the parties focus on what is happening between them. You join with the other person in the process of “co-creating” meaning between you. Finally, dialogic listening focuses on the present. Dialogic listening requires that one be fully present to the process and to the other person. Being-in-the-present helps each party to unify his or her actions and intentions. It can ameliorate “power differences”. The highlighted words above that are my indication of terms that I felt match closely with my usual focus of coaching. “Our” — Coach and coachee should be working on a common goal. As a teacher explains the student learning outcome that is the focus of her coaching request, the coach joins the teacher’s goal and they work together to achieve that goal. Agreement on the desired outcome should be part of the pre-conference. “Choice-maker”— The coachee is a choice-maker. It is important that the actions which emerge from coaching are the decision of the coachee. While the coach may offer a possible strategy for reaching the student learning outcome, the coachee must own the decision to implement. “Co-creating”— I’ve been using the phrase that coaches should not be problem solvers but should be developing teachers’ problem solving skills. 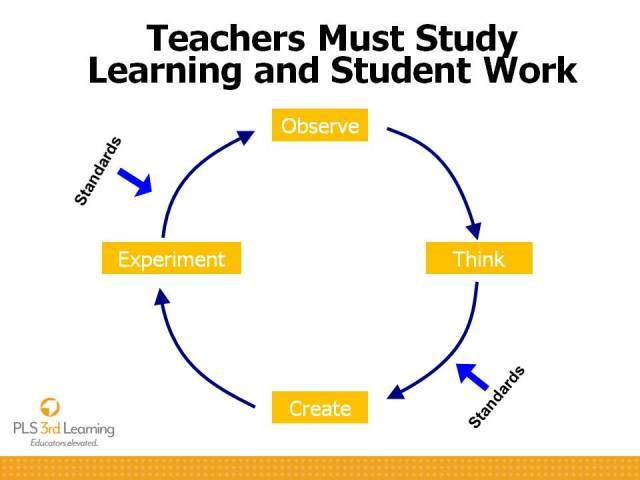 I use this diagram showing the coach guiding a process of observing student learning, thinking about the observations and the desired outcome standards, creating learning opportunities for students, and conducting the experiments of the learning design. As the experiment unfolds the observation and thinking engage to assess and possibly re-create. “Power Difference”—Coaches who can eliminate a teacher’s sense of a power difference between coach and teacher are most likely to gain teacher vulnerability which expands and deepens a teacher’s potential for growth. Dialogic listening does require vulnerability on the part of the coach as well. Thanks to Jim Knight for advancing my thinking. Hope you find some helpful thoughts to build your coaching partnerships.